There is an Everyman cinema about 5 minutes walk away and Walton-on-Thames railway station is a mile walk away. There is a car park at the Homebase opposite - £2 for 90 minutes (max stay) which can be claimed back if you happen to spend more than £10 at Homebase. You gotta have a extra hot, spicy, double cheeky, chicken burger with a side of garlic bread. I came in with a load of friends after a long night of beer pong and 3 AM drunken story telling. I have to say this was the best hangover cure. The staff were friendly, helpful and made us very welcome. The NANDOS is Staines doesn't really compare to Walton. If there is a way to reward every single staff member of Walton nandos then please do. Whether it be a free meal or a little more on the pay check, please reward them! From, a very hungover but happy customer. Older gentleman I believe the manager very nice as well and proud of his staff ! we parked in the nearby car park situated over the top of Sainsbury's, it's open 24hours. shown to a table straight away but is was very near the till/ordering area so a constant stream of people passing very nearby during our whole visit. my dining companion placed our order so sadly I am unable to comment regarding this service!! the food took a while but it wasn't an issue as it gave me plenty of time to catch up on some gossip. I went for something completely different from my usual. I went to this Nandos for the first time with a colleague from work. It was nice enough, not outstanding. There are a few parking spaces outside but there is a car park across the road which you can pay to park at (think it is with the Homebase). I have to admit I actually had to send back my order twice. I had asked for chicken pitta, with pineapple and no pittamix. It came with pineapple, cheese and pittamix. It came back and again I had to send it back as it had cheese in it. great parking facilities as there are 2 municipal car parks within 5 minutes walk to the restaurant. also situated on the outside of the shopping centre with all the other restaurants and bars, it was very easy to find. we were seated within a minute although we had to move because it was very cold sitting by the door. The staff member made no issue of this however and we had great tables near the counter. Stopped in on this one on my way back from Epsom at about 6:30pm. It's easily found in the car and parking is quite cheap at the Homebase opposite - £2 for 90 minutes (max stay) which can be claimed back if you happen to spend more than £10 at Homebase. There's an Everyman cinema nearby as well. My family and I went into Nando's on Christmas Eve like most years. We were served by a guy called David and his service was phenomenal, not begin with. Very friendly and meant well. After a while he kept coming to our table to be friendly and welcoming but it began to get a bit tiresome and uncomfortable. We had to send back a Lemon & Herb Pitta as it was certainly not a Lemon & Herb. It took 35 mins to get a fresh pitta cooked by which time the rest of us had finished our meal. I parked in the Homebase car park which is opposite the store on New Zealand road and costs £2 for a maximum of 90 minutes which I thought would be long enough... If you do get back to the car park in time you get the £2 off a £10 or more purchase from Homebase. The store has a small seating area outside on the pavement. Heading down to Guildford on a Saturday morning, and since I've already been to the Nando's there, I had to find one on the way. While not quite on the M25, this branch was conveniently located in the suburbs, and parking was nice and easy in the shopping centre car park. Only 80p for an hour which was the cheapest town centre parking I've seen in a long time! 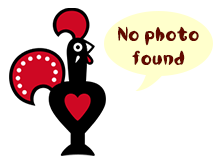 Love this Nando's, staff are really really friendly and it's always clean, busy and chicken's always tender! Just a shame the last few times I've been it has been so full we've had to sit on tables by the door and it was quite chilly. The manager in particular, at the Walton branch deserves recognition for top notch customer service. It makes me as the customer feel very relaxed when the manager recognises a repeat visit by our family and gives great attention to make our meal a truly pleasant one. Really small interior and seating is quite close together and mainly booths. There is seating outside in summer which is nice. Ambience isn't great though!